When it comes to celebrating Princess Cruises knows how to throw a party. And as the iconic line turns 50, it’s marked the occasion with the creation of a brand spanking new cocktail fashioned by none other than the most feted bartender on the planet. 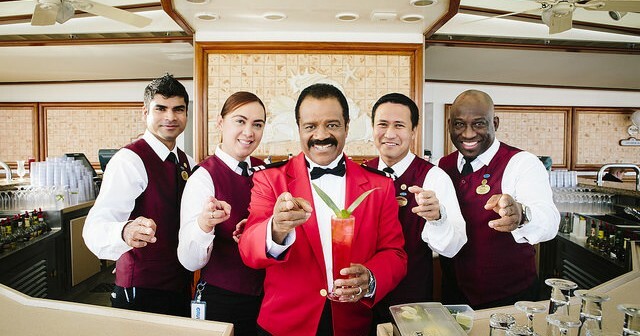 Yes, we’re talking about Isaac Washington from “The Love Boat.” The cocktail king was played by the legendary Ted Lange throughout the legacy of the hit 1970-80s TV series. Yet very few of his fans are aware that as well as being a talented actor, Lange is also a passionate mixologist. For Princess Cruises, the collaboration with Lange was a fantastic opportunity to celebrate its 50th anniversary, as well as the role the iconic TV show played in raising the global profile of the line. “The Love Boat put Princess Cruises on the map, bringing the romance and adventure of our cruise vacations into millions of viewers’ homes for the decade it was on air. 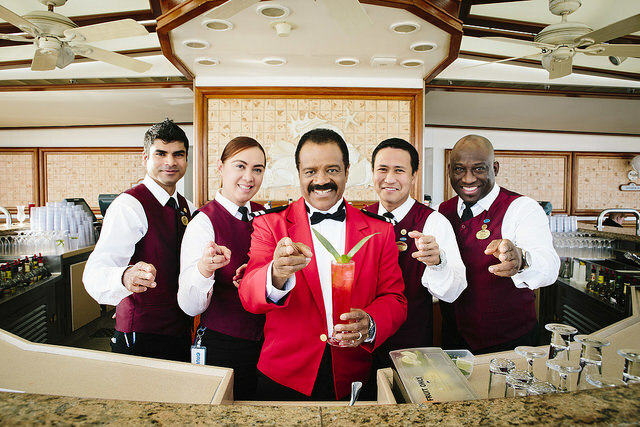 So, who better to create a special cocktail celebrating love and romance at sea than Ted, who turned his character into the world’s most famous bartender,” says Rai Caluori, executive vice president of guest experience and product development at Princess Cruises. Given the fact that Lange’s favourite cruise destination is the Caribbean it was only fitting that ‘The Isaac’ feature a rum base. To launch the concoction Lange boarded the Crown Princess on a voyage to… you guessed it, the Caribbean! 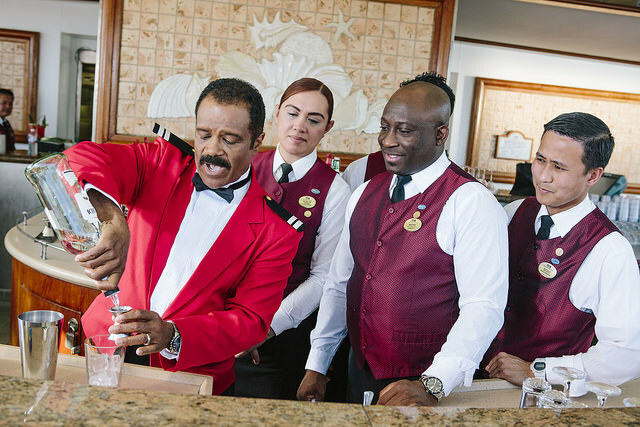 Needless to say, he taught the Crown Princess crew a thing or two about how to mix a mean cocktail! So what exactly goes into The Isaac? We’ve got the scoop so you can recreate the concoction at home! Plus, the not to secret recipe is accompanied by instructions from Mr. Lange himself. Start by pouring the rum, syrup and juice over ice in shaker. “Shake to mix,” clarifies Lange. “We don’t stir it, we shake it. I taught James Bond that,” he jokes. After shaking up a storm strain over fresh ice into a tall glass. Top up with a dash of club soda and voila! 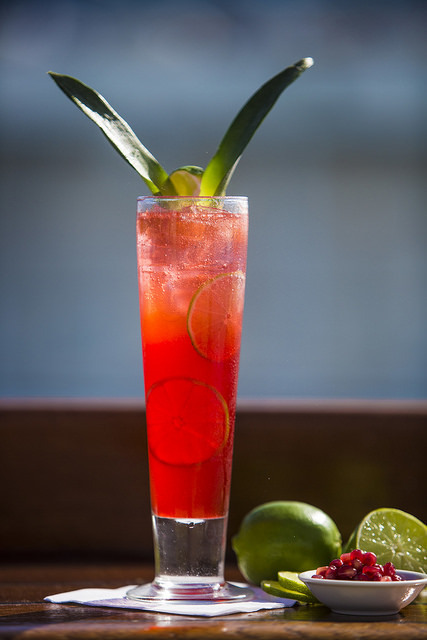 Garnish with a few slices of lime, plus two pineapple leaves for a show stopping twist. “The leaves are in tribute to my signature move,” says Lange. For all you Love Boat fans out there, you’ll know what he’s talking about! And as the iconic line turns 50, it’s marked the occasion with the creation of a brand spanking new cocktail fashioned by none other than the most feted bartender on the planet.